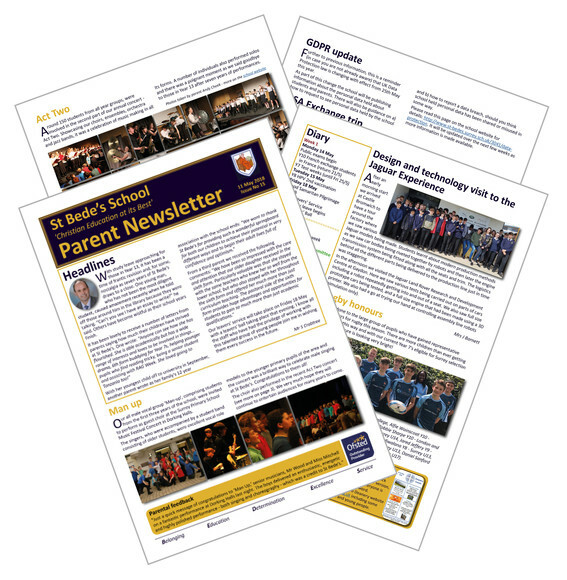 Our latest parent newsletter is now available to read. It is full of news and information about recent activities that our students have been participating in. We are grateful to this issue's sponsor Sonia Christie, Independent Cambridge Weight Plan Consultant - please see back page for details. If you are, or you know someone who may be interested in sponsoring the St Bede's newsletter, please go to /191/newsletters for more information.